In 1976 CRJA-IBI Group completed the Master Plan for site development of the Massachusetts National Cemetery in Bourne, Massachusetts. The Master Plan foresaw staged development that would accommodate veterans’ interment well into the middle of the 21st century. The site selected for this new Cemetery was a 750 acre parcel set in the midst of the vast Massachusetts Military Reservation, then known as Otis Air Force Base. 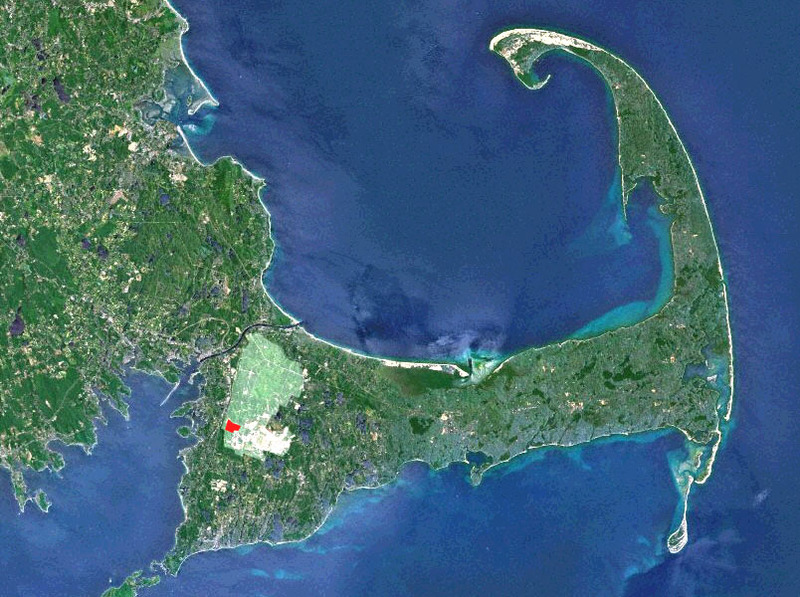 A landscape emblematic of the northern shoulder of Cape Cod, the rolling hills and sandy soils would become one of the earliest National Veterans’ Cemeteries in the United States, interring veterans a mere 7 years after Congress passed the National Cemetery Act in 1973. Dedicated in 1980, the Massachusetts National Cemetery became the third new national cemetery to open in nearly 30 years, following Calverton in New York State and Riverside in North Carolina. As of 2008, nearly 46,000 United States Veterans and spouses had been interred at Bourne. In 1979, CRJA-IBI Group completed design and construction documents for Phase 1A. Immediately upon the heels of Phase 1A Development, CRJA-IBI Group prepared documents for Phase 1B, which was completed in 1982. 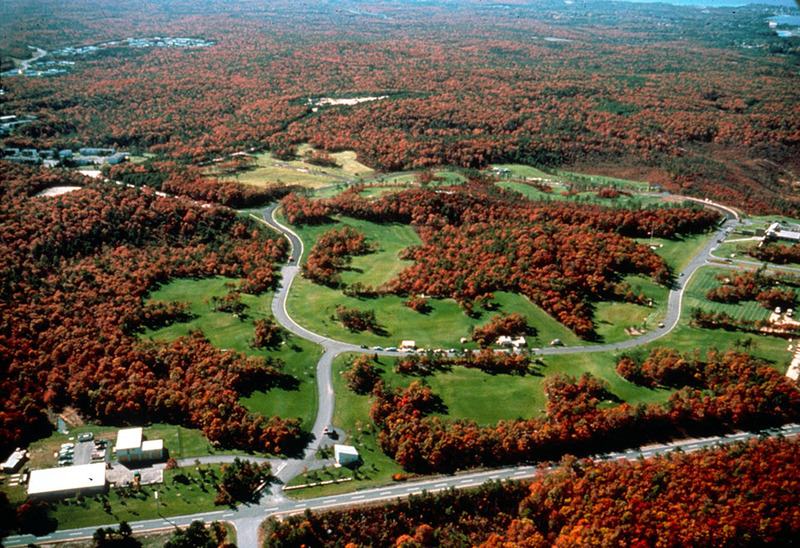 Based upon the imagery of the New England landscape, CRJA-IBI Group selected a palette of design elements and landscape types, including open fields, meadows, orchards, stands of native trees, fieldstone walls, and winding roads, to complement the existing site conditions and to symbolize the desired imagery. 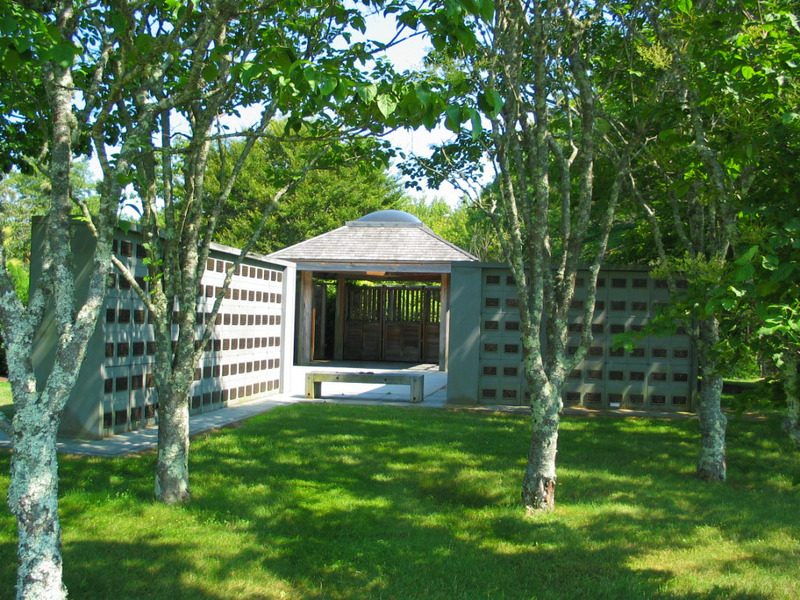 The Bourne facility utilized flush headstones within a sylvan landscape to create a touring landscape design. In 1994, CRJA-IBI Group completed designs and documents for the first phase of expansion of the Massachusetts National Cemetery in Bourne. Directed by CRJA-IBI Group, construction was completed in 1996 and doubled the capacity for interments for full casket remains and created a new columbarium plaza, known today as the Rose Columbarium. Phase 2 Development provided an essential expansion to capacity and would serve the burial needs of World War I and World War II Veterans and spouses. Carrying forward the Master Plan concepts developed in 1976 and the established Phase 1 vocabulary of open grave areas bounded by native forest, Phase 2 Development retains the rolling nature of the topography and the park like setting of the landscape. Following earlier design phases, the Phase 3 continues a program of context-sensitive design of grave areas integrated into the sandy-soil forest of pitch pine and scrub oak—an environmentally delicate landscape emblematic of Cape Cod. Having developed designs and construction documents for the preceding 1980 and 1994 phases of the Massachusetts National Cemetery CRJA-IBI Group was pleased to be invited to complete the Phase 3 Development project for the Cemetery. When completed in 2013, Phase 3 will increase burial capacity at the Massachusetts National Cemetery by 7,600 burial crypts, 4,500 columbarium niches, 700 wall memorials and 999 in-ground cremain spaces. Following earlier design phases, the Phase 3 continues a program of context-sensitive design of grave areas integrated into the sandy-soil forest of pitch pine and scrub oak – an environmentally delicate landscape emblematic of Cape Cod. Careful attention is being given to water and irrigation conservation practices. Identifying the most suitable, native Cape Cod grass species for turf establishment accompanies a careful review of successful tree and shrub plantings. As part of the Phase 3, CRJA-IBI Group has the generational pleasure of participating in the design and construction of replacement architecture for the Administration and Maintenance Buildings first built in 1980. CRJA-IBI Group is honored to continue its historic engagement at the Bourne facility.